Gionee M7 Power was launched in India on Wednesday. As you can tell by the name of the smartphone, the M7 Power's biggest highlight is its massive 5000mAh battery. It also sports a large 6-inch FullView display with an 18:9 aspect ratio. 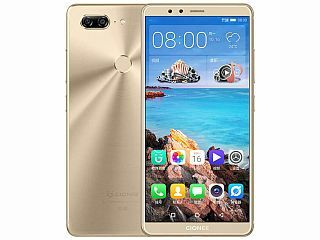 To recall, the smartphone was first launchedby Gionee in China in September, alongside the Gionee M7. There's no word as to when the Gionee M7 will be launched in India. The Gionee M7 Power price in India is Rs. 16,999, and it will go on sale from November 25 via Amazon India. Pre-orders start via Amazon India at 5pm IST on Friday, and more launch offers will be detailed by the company. It will be available in Gold, Blue, and Black colour variants.